Gloria Ortiz-Hernández's Plate/Shift #10 (2006, Graphite pencil, charcoal powder, and pigment on wove paper, 22" x 22") is currently on view at the Morgan Library and Museum in New York City. The piece is part of the museum's permanent collection. Gift of Sally and Howard Lepow. In 1998, Gloria Ortiz-Hernandez gave up the brightly colored figurative paintings that she had been doing for years and began drawing simple geometric forms. Like many of these drawings, Plate/Shift #10 belongs to a series in which the artist explores different combinations of a similar composition. Made of numerous layers of almost imperceptible strokes the subtle gradation from dark to light suggests volume and depth, and gives this deceptively simple composition a great tactile beauty. 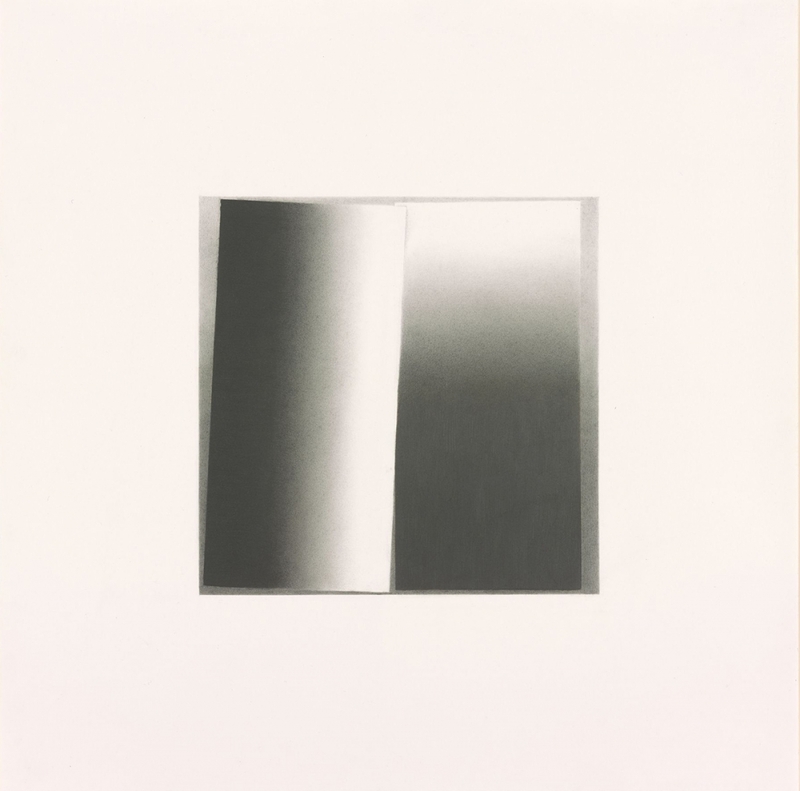 The drawing is typical of Ortiz-Hernandez's work in its fusion of a minimalist aesthetic with an exquisite sense of refinement.